Do you want to get rid of head lice and eggs instantly? Try new V-Comb Anti Lice Device which removes Head Lice and Eggs quickly from your hairs. 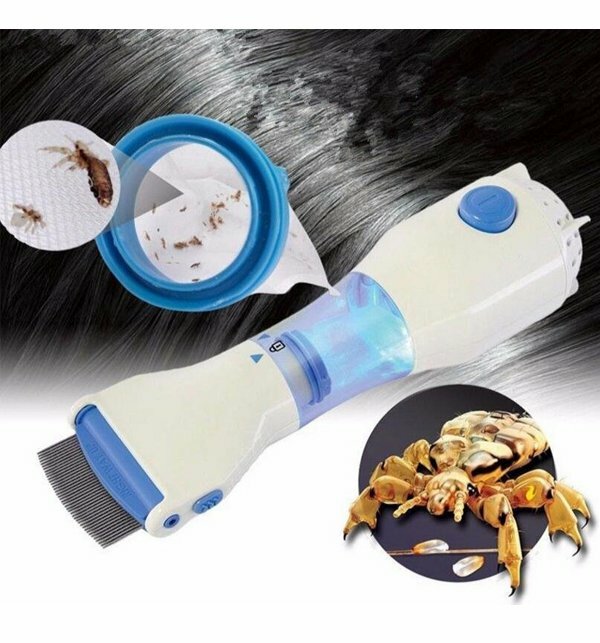 It is Chemical Free Head Lice Treatment with Disposable Head Lice Capture Filter. It has Compact and Ergonomic Design, Rounded Stainless Steel Teeth with Adjustable Combing Angles, LED Illuminated Filter Unit and powered by AC Powered Device. In a box you may find a V-Comb device, 2 x Disposable Capture Filters, Instruction Manual and Cleaning Brush. Order it at Shoprex.com for delivery all over Pakistan. You are looking now latest V-Comb Anti Lice Device, Remove Head Lice And Eggs Instantly price in pakistan market 2017 including in all major cities, V-Comb Anti Lice Device, Remove Head Lice And Eggs Instantly Price in Karachi, V-Comb Anti Lice Device, Remove Head Lice And Eggs Instantly price in Lahore, Islamabad, Faislabad, Pesahwer, Quetta, Multan, Rawalpindi and many more cities.